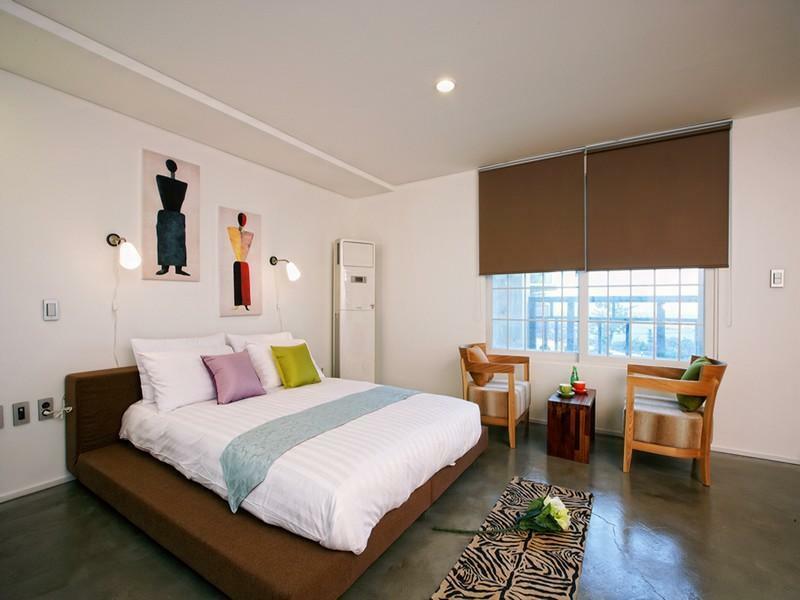 ﻿ Mi and Mi Pension, Jeju Island - SAVE ON AGODA! Have a question for Mi and Mi Pension? Whether you're a tourist or traveling on business, Mi and Mi Pension is a great choice for accommodation when visiting Jeju Island. The city center is merely away and the airport can be reached within minutes. With its convenient location, the hotel offers easy access to the city's must-see destinations. At Mi and Mi Pension, the excellent service and superior facilities make for an unforgettable stay. A selection of top-class facilities such as free Wi-Fi in all rooms, luggage storage, Wi-Fi in public areas, valet parking, car park can be enjoyed at the hotel. The ambiance of Mi and Mi Pension is reflected in every guestroom. television LCD/plasma screen, internet access – wireless, internet access – wireless (complimentary), non smoking rooms, air conditioning are just some of the facilities that can be found throughout the property. Whether you're a fitness enthusiast or are just looking for a way to unwind after a hard day, you will be entertained by top-class recreational facilities such as spa. With an ideal location and facilities to match, Mi and Mi Pension hits the spot in many ways.